Celebrations are almost always sweet, sometimes bittersweet, but sweet never the less. 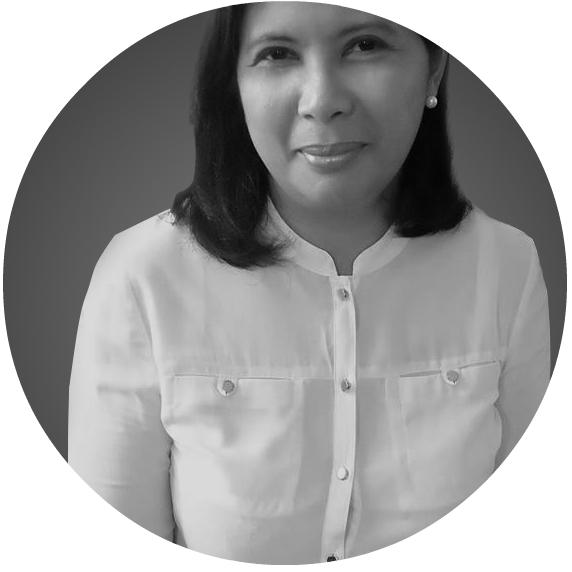 In the Filipino setting, sweet food is a staple in every occasion. One of the most convenient to bring is a box of delicious doughnut. It is a hit among adults and children alike, with the choices so varied, especially with the entry of international names like Krispy Kreme. Krispy Kreme had its own celebration recently with the opening of its 1000th shop located in Kansas City. 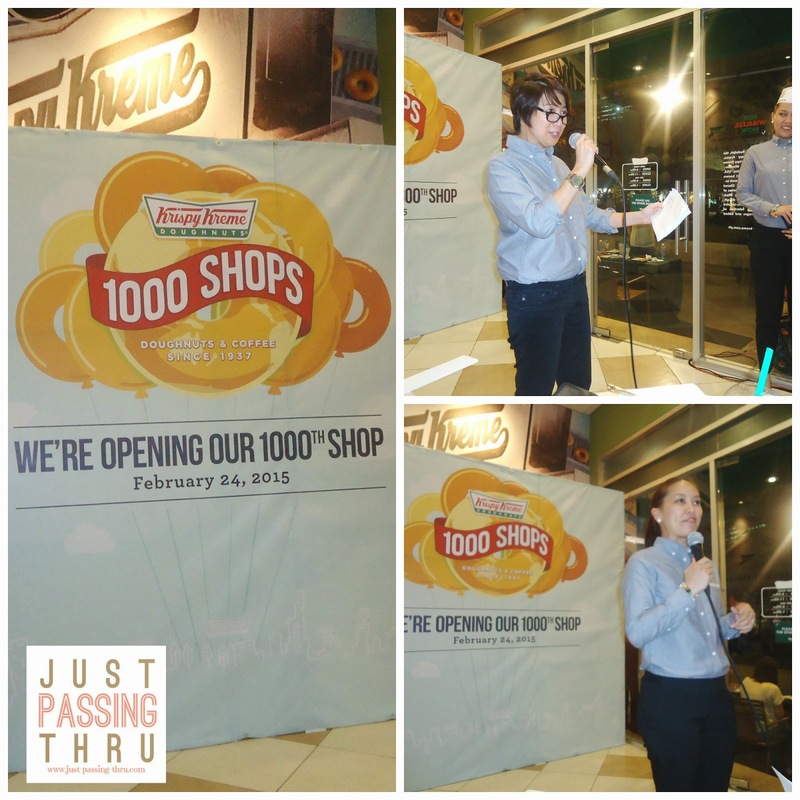 The exciting thing about this event is that it shared the happiness all over the world by giving away at least 1,000 doughnuts at every participating outlet. 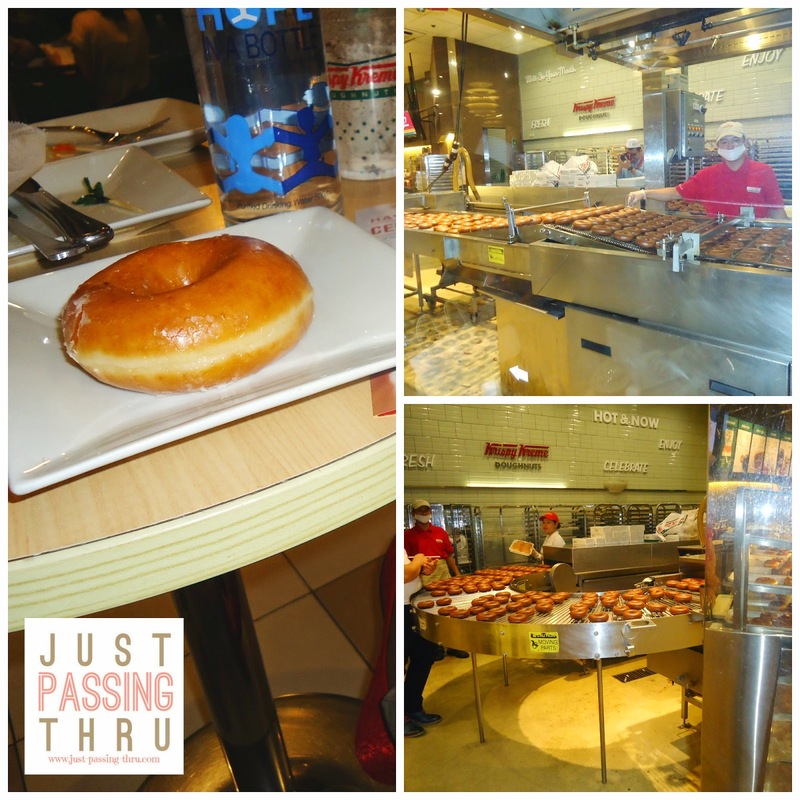 Imagine how many people got to enjoy the taste of the Krispy Kreme Original Glazed Doughnut. 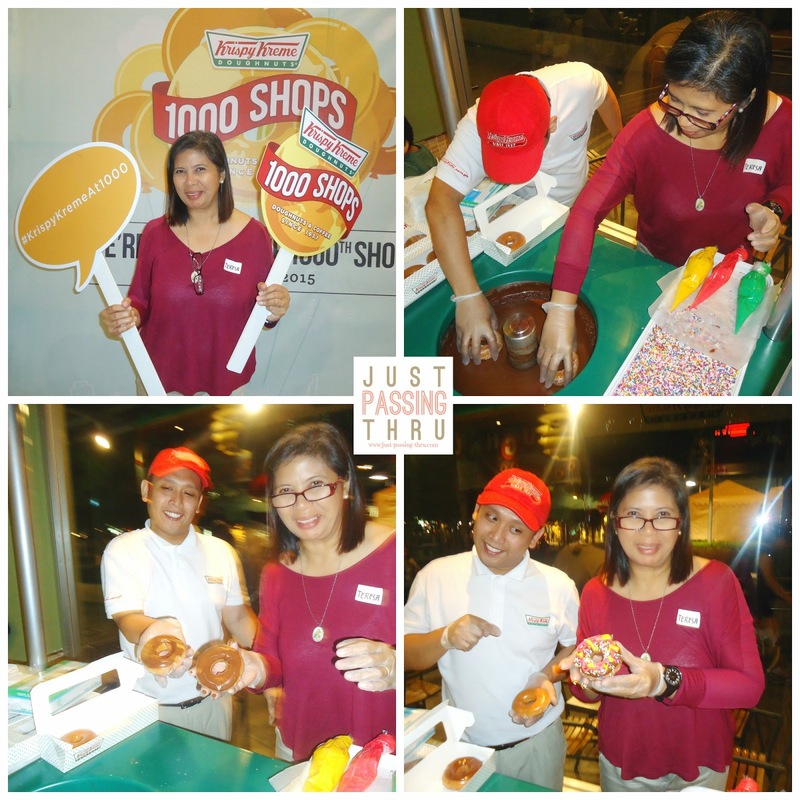 It was very interesting to see how Krispy Kreme dougnuts were made and a special event at Krispy Kreme The Fort made it possible. There is obvious pride in letting customers see for themselves just how much care goes into making each and every piece. I even got the chance to try decorating doughnuts, tapping into whatever creativity I may have within me. With the help of a a friendly Krispy Kreme personnel, I tried my hand on dipping doughnuts in chocolate frosting and decorating them with colorful icing. Mommies like me would be glad to know that this booth can be made available for children's parties. I'm sure children will have the time of their life not only decorating but eating their own creations. I have always had a sweet tooth. No meal is complete without anything sweet after. The same goes with the rest of the family. Every single day offers a reason for sweet celebrations. 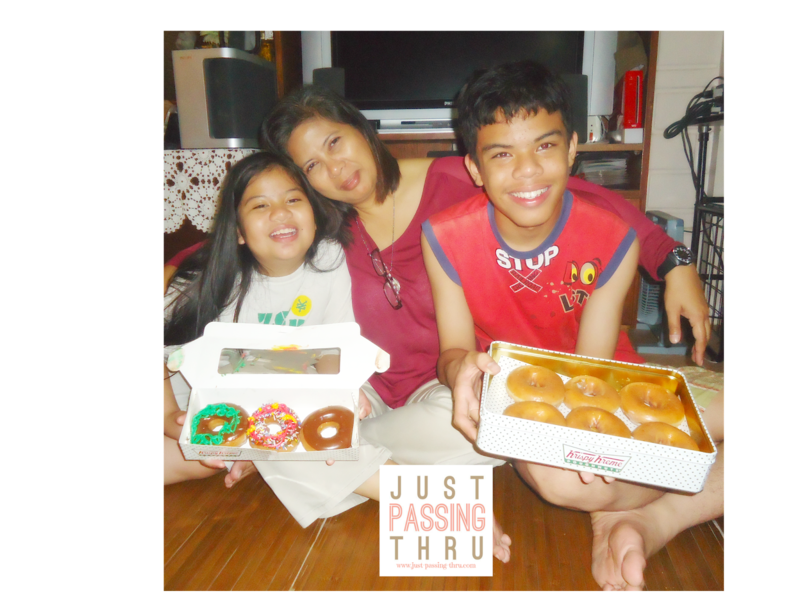 Nothing beats the satisfaction of seeing the joy in their eyes when I hand them my "pasalubong" of Krispy Kreme doughnuts. After all celebrations, need not always be big. They can be celebrations for each and every day spent with people who matter to us, made sweeter by delicious food shared together.